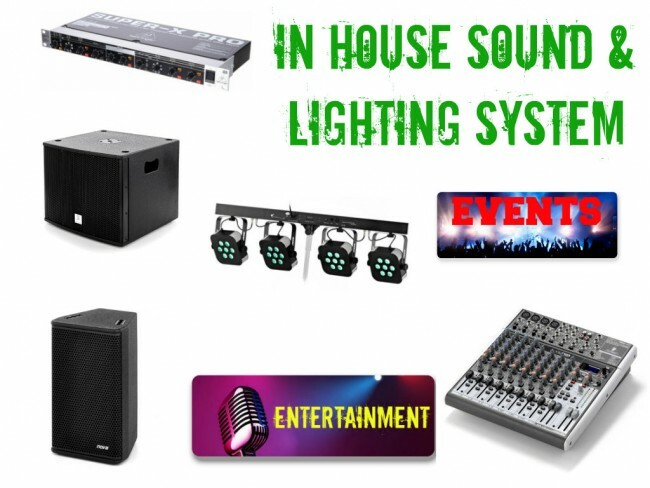 Attending bands / musicians please note below the specification on the in house sound & lighting system. Where possible we ask that you use the in-house system as much as possible to avoid transportation of equipment on boats etc. Mixer – Behringer Xenyx X1622 USB – 16-channel mixer with 60mm faders, 4x mic inputs with 48V phantom power and 75Hz lo-cut filter, compressor per mic channel, internal 24bit FX processor with 16x presets, 4x stereo inputs, 3-band parametric EQ, 2x auxes (pre/post), inserts, 2-track in/out, XLR main out, 2x subgroups with separate outputs, internal power supply. Microphone cable x 2 – Cordial CTM 10 FM-BK professional microphone cable – male-female XLR, Neutrik plug. Length: 10 m.
We will be promoting the gig through our web-site at www.goexplorehostel.ie and through our social media www.facebook.ie/goexplorehostel. We will also be promoting it through other on-line entertainment listing. We ask that you connect to us on Facebook and promote the gig through all of the channels open to you. Sailor’s Bar covers the cost of the bands return ferry with Clare Island Ferry Co Ltd only. Please visit www.clareislandferry.com or call Brian on 086 8515003 for times of departure. Please make sure that your equipment is well packaged to prevent damage during transportation. We will arrange for a van to pick you up from the pier. We provide bed and breakfast for band members only. We allow a €10 voucher for dinner for band members to eat at Sailor’s Bar.